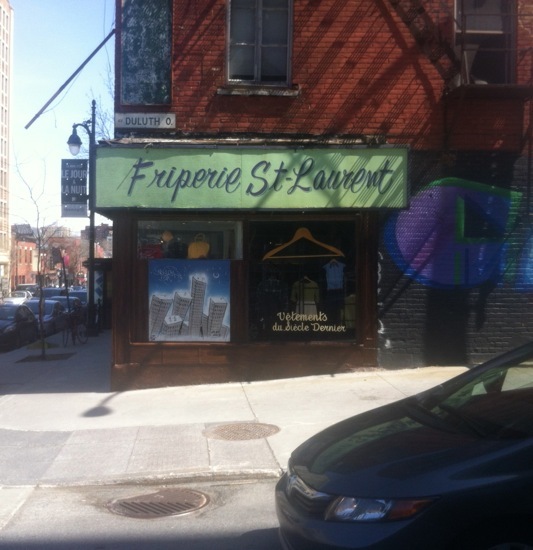 I was in Montreal back in May and I snapped this photo of one of my favourite Montreal signs. Its style is laid back yet elegant, like the dashed off handwriting on a greeting card to a friend. This is a vintage clothing shop and the sign is absolutely fitting. It has the verve of an outfit that transforms its wearer into an effortlessly chic urbanite. Buy an item of clothing here and who knows whom you’ll become! This entry was posted on June 30, 2014 at 9:29 pm and is filed under Script. You can follow any responses to this entry through the RSS 2.0 feed. You can leave a response, or trackback from your own site.